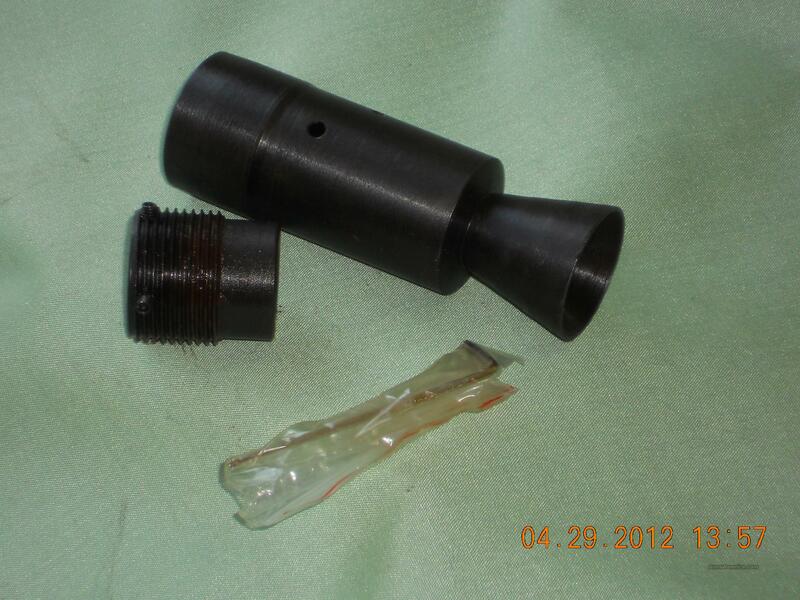 Description: AK THREADED BRAKE WITH ADAPTOR . THE ADAPTOR FITS 28MM TYPE BLANK FIRING DEVICE. MUZZLE BRAKE INDEXES WITH FRONT SIGHT DETENT.